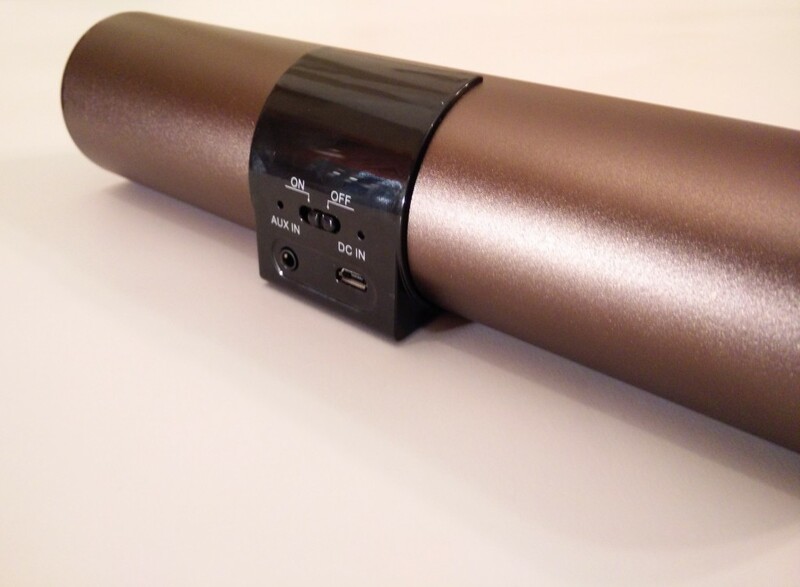 2014 has been a big year for Bluetooth speakers and we have seen many manufacturers offer up their ideas. 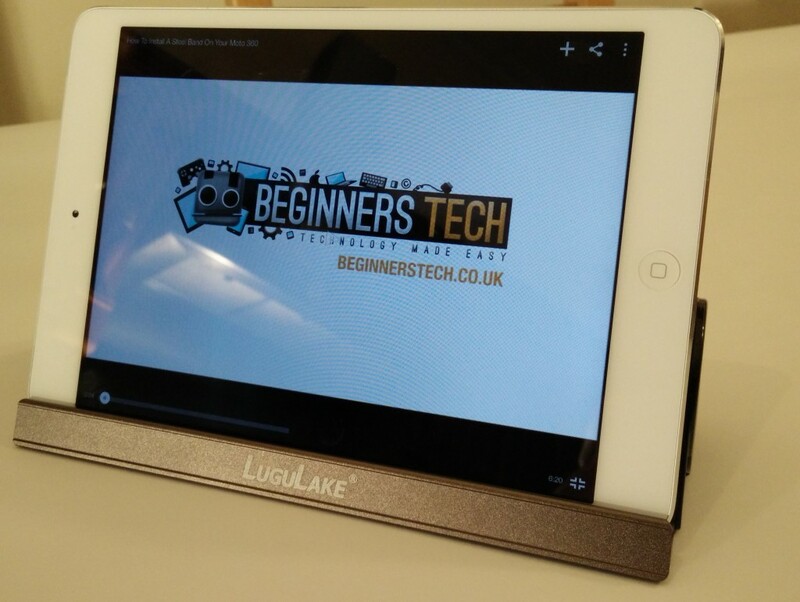 Today we look at the LuguLake portable bluetooth speaker stand. As the name suggests this is more than just your average bluetooth speaker as it arrives with it’s own cradle for your device, let’s dive in and check it out. First of all as you can see from the picture above you don’t really get a lot in the box apart from the speaker, 3.5mm audio cable and a USB to micro-USB cable for charging the device. The unit weighs in at 399 grams and 20cm across and with it’s aluminium feel it will compliment any device you own. 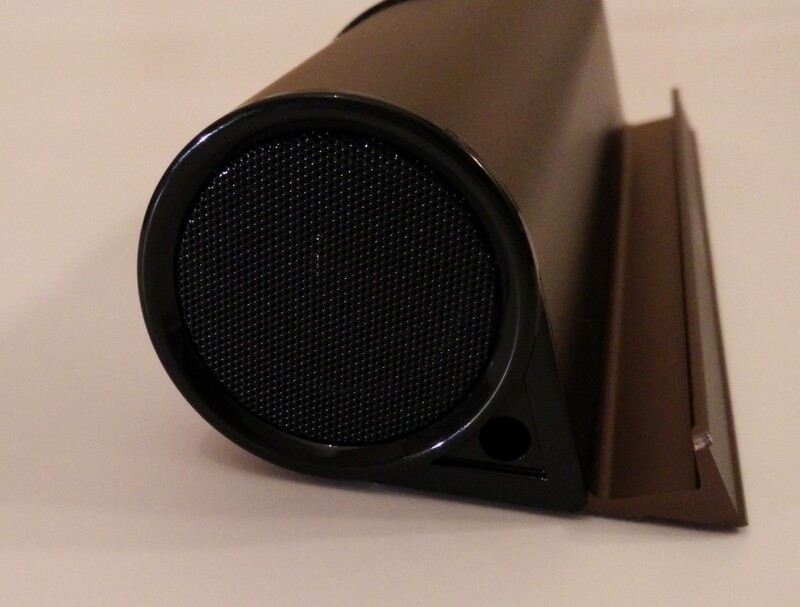 Other than that we have the speaker itself with it’s lovely tubular design that features a speaker on each side and a cradle to place your smartphone, tablet or both in. The cradle will fit many devices even the larger size iPads but 7-8 inch tablets fit perfectly. One think I would have liked to see implemented on this is maybe a piece of felt or rubber placed inside the stand recess, I say this as placing my HTC One M8 or iPad mini in the stand makes me worry a little as its ‘metal’ on metal. Not that the speaker will scratch your device as it won’t move around but that fear is always there for me. Pairing your device with the speaker is a breeze and it’s made easier with the speakers audible alerts. Simply go into your bluetooth settings on your device and search for bluetooth devices, you will notice that BT-10 will show in the list and if you simply click on it you will be set up and ready to go. One thing worth noting here is that you can’t have multiple devices connected at once so to connect another you will have to disconnect the previous. The battery life on the LuguLake portable bluetooth speaker stand is not to bad and achieves around the six hour mark. Charging however seems to take quite a long time and a full charge took almost 7 hours, usually this would not be a problem but nowadays we are spoiled with quick charge solutions so I thought it would be worth mentioning. 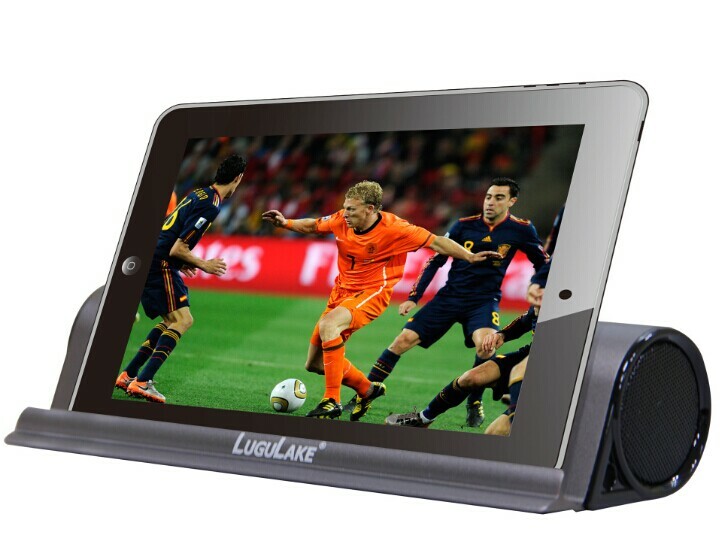 The audio quality from the LuguLake bluetooth speaker is not bad at all for a speaker in this price range. The two 3W drivers at each end provide enough noise to allow for a decent listening experience but I must say that this speaker will suit those who enjoy watching movies and YouTube more than those who want to use it only for music purposes. I say that as cranking the volume all the way up during music playback can sometimes cause a little distortion when listening to songs with a lot of bass. The mids are clear as day and this makes watching movies or your favourite YouTube channel a pleasure. 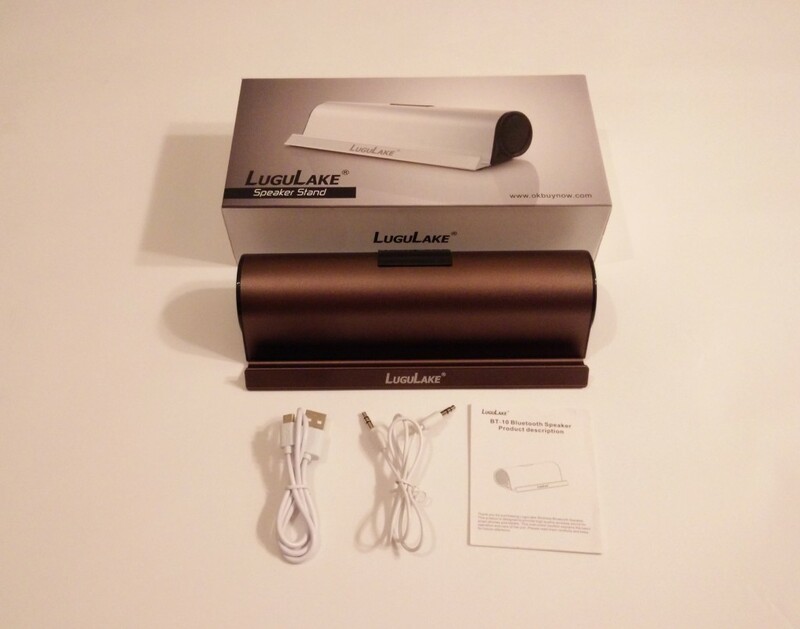 Overall we were impressed with the LuguLake portable bluetooth speaker stand and it offered that little something extra that could sway anyone on a budget towards it. Costing just £29.99 on Amazon you could do a lot worse than picking this up, media consumption on this device is a pleasure and the included stand makes it that little bit more attractive than some other speakers at this price point. Just incase you don’t fancy the colour we have chosen then you will be happy to know there are many different choices. We have many more bluetooth speakers to review at present so stay tuned here and visit our YouTube channel as well. If you have any questions then please don’t hesitate to ask below or on social networks.